Modular (11 modules): Instead of�or after�the campaign, the new modules in The Rise of Fenris can be used in various combinations to cater to player preferences. 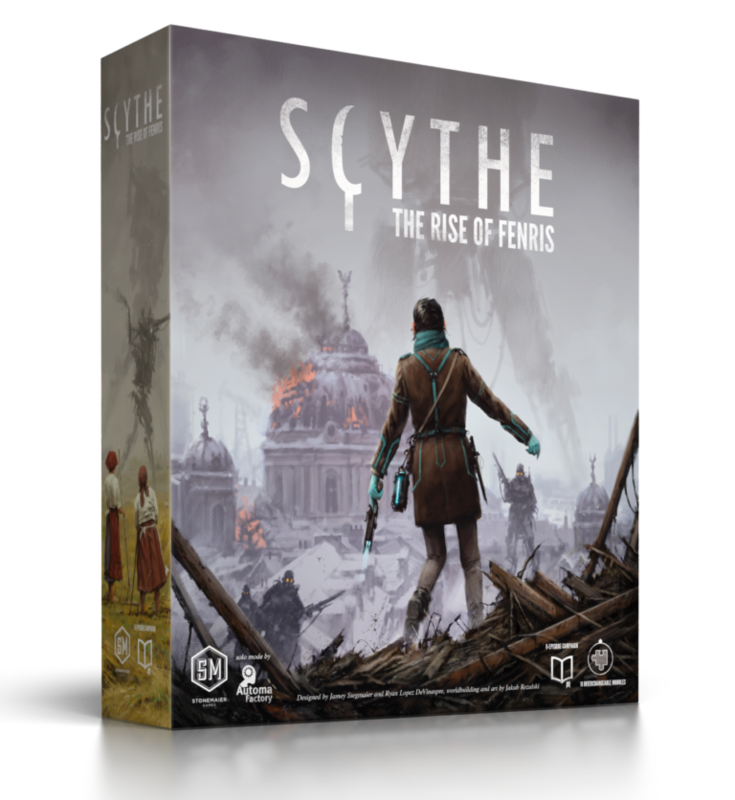 These modules are compatible with all Scythe expansions, and they include a fully cooperative module that isn�t part of the competitive campaign. While the exact nature of the episodes and modules will remain a mystery (most of these components are in 5 secret tuckboxes and on 6 punchboards), the components in this expansion include a detailed episodic guidebook, 13 plastic miniatures, 62 wooden tokens, 2 custom dice, 25 tiles, 100+ cardboard tokens, a campaign log, and 1 achievement sheet. The final expansion to Scythe features an 8-game replayable campaign and 11 interchangeable modules.